By the mid-eighteenth century, the economies of the American colonies had matured. The colonies chafed under the rules of British mercantilism, which sought to exploit the colonies as a source of raw materials and a market for the mother country. During the French and Indian War, the colonies asserted their economic independence by trading with the enemy, flagrantly defying customs laws, and evading trade regulations. These actions convinced the British government to bring the colonies into proper subordination and to use them as a source of revenue. 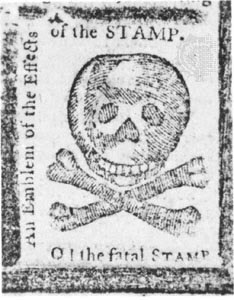 In 1765 they instituted the Stamp Act requiring that revenue stamps be affixed to all official documents in the American colonies. The revenue measure was intended to help pay the debt incurred by the British in fighting the French and Indian War (1756-63) and to pay for the continuing defense of the colonies. Unexpectedly and to Parliament's great surprise, the Stamp Act ignited colonial opposition and outrage, leading to a concerted effort by the colonists to resist Parliament and British authority. Though the act was repealed the following year, the events surrounding the tax protest became the first economic step towards revolution and independence from England. England's need for revenue and Parliament's conviction that it alone, in the empire, was sovereign did not end with the repeal of the Stamp Act. New and harsher laws were enacted in succeeding years, producing a predictable reaction from the colonies. The full significance of the Stamp Act crisis is that it served as the initial event unifying all the colonies in their resistance to parliamentary authority. The act led to the creation of enduring resistance groups, such as the Sons of Liberty, which were capable of springing into action at the least provocation. And it established precedents for later resistance, including the use of a congress, the issuance of circulars, the resort to legislative resolves, and the adoption of economic sanctions. Most importantly, the Stamp Act crisis made the colonists more aware of the identity of their interests, which would ultimately lead them to think of themselves as "Americans." Although this was the first direct tax on the American colonies, it weighed most heavily, and was most resisted in the cities and the more urban areas of the colonies. 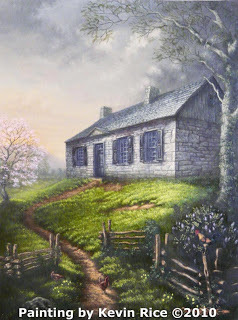 Because of the remoteness of many of the frontier communities, and the problems with "enforcement", the primary concern in the Conococheague in 1765 continued to be the unwillingness of the British government to secure the homesteads from the escalating violence from war parties and to prohibit the sale of war materials to the Indians. 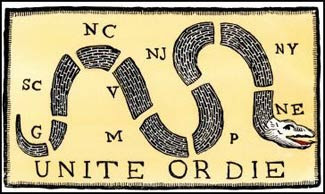 Although the Stamp Act laid a theoretical foundation for later revolutionary thought in the colonists elaboration of the doctrine of consent by the governed, it was the events at Sideling Hill that laid the foundation for the doctrine of defense (Life & Liberty) of the governed.